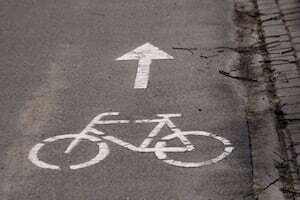 We understand how traumatic a bicycle accident can be for both you and your family. Our dedicated team is here to help you pursue compensation for injuries while you focus on recovering and returning to your normal life. Lawyer John B. Kenison, Jr. has represented personal injury victims for nearly 30 years and is accessible 24 hours a day as a resource for your legal needs. If you have been injured in a bicycle accident, call Kenison Law Office, PLLC in Manchester, NH, for your free consultation at (603) 471-3550 or contact our team online. Bicyclists are especially susceptible to accidents and injury because of their proximity to other vehicles on the road and their exposure to dangerous conditions. Although bicycle accidents can occur because of dangerous road conditions or inclement weather, one of the most common causes is collision with other vehicles. According to the Center for Disease Control, there were over 1,000 bicyclist deaths and nearly 467,000 injuries resulting from bike accidents in 2015 alone. More serious accidents can lead to the wrongful death of a loved one. Catastrophic injuries can have lifelong effects on your health and require extensive, painful surgeries. Spinal cord or brain injuries may leave you permanently disabled and unable to work or enjoy the same activities you did before your accident. In addition to ensuring you receive sufficient compensation for medical bills, Mr. Kenison can help you determine the full extent of your injuries and how they impact your daily life so that you get the compensation you deserve. In some cases, we may be able to secure compensation for future medical care, therapy, loss of wages, counseling, and other resources you need to recover. Mr. Kenison has represented the best interests of his clients for nearly three decades, while his paralegal, Lisa Hamilton Mills, has over 30 years of experience managing personal injury claims and litigation. Together with our legal assistant, we can provide the support, compassion, and resources you need during this difficult time. We have earned millions of dollars in compensation for past clients and can help you get the results you want in a mediated settlement or in court. Your initial consultation at Kenison Law Office, PLLC is always free and we encourage you to call us to determine whether we can represent your case. We can help you attain the compensation you deserve and hold the party responsible for the accident accountable for their negligent actions. To schedule a free review of your case, call our office at (603) 471-3550 or contact our legal team online.